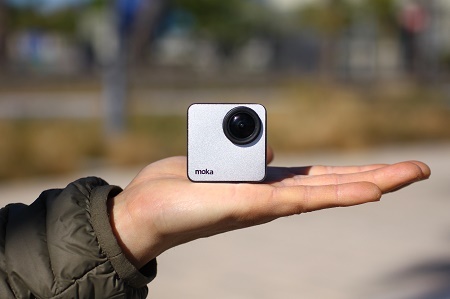 While it might have some some shortcomings of its own, the MokaCam is looking to become the “GoPro Killer”. This is a 45x45mm camera that is capable of 4k video, but that’s only one small part of what it can do. It uses a battery with magnets so you can not only affix it to surfaces for recording, but also attach an extra battery through magnetism for another hour of use as well as a rotatable screen with another battery in it for even more recording. This is water resistant, and you can also get a housing that will make it completely waterproof for underwater shooting. It also has a motion detector to monitor your home, voice recording, and a 7-layer glass lens. It comes in black, gold, and blue, and will cost you $169 for a full setup which includes the waterproof housing, a rotatable screen, and a battery module. If this modular camera performs as well as it says, it really might give GoPro a run for their money.